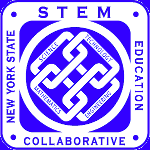 2019 STEM Institute – Keynote Speakers – NYS STEM Education Collaborative, Inc.
advancing sustainable energy solutions and environmental technology innovation. In June 2017, Gov. Andrew Cuomo nominated President Collins to sit on the board of trustees of the NYS Higher Education Services Corp. (HESC) as a representative of private higher education and was approved by the New York Senate in June 2018. New York State’s higher education student financial aid agency. In May 2014, President Obama nominated Dr. Collins to serve on the Advisory Board of the Saint Lawrence Seaway Development Corporation. NY Governor Andrew Cuomo appointed Dr. Collin to serve as co-chair for the North Country Regional Economic Development Council from July 2011 – February 2019. Dr. Collins served on a commission, established by Governor Cuomo in November 2012 to investigate and study utility companies’ storm preparation and management; and to recommend reforms to overhaul regulation of the entire system to better deal with emergencies. He is the also the president of the Seaway Private Equity Corporation that invests in new technology companies based in St. Lawrence County, New York; and is a member of NYSERDA’s Technology & Market Development Advisory Committee which provides technical and policy guidance to NYSERDA on energy and environmental research and market development initiatives. 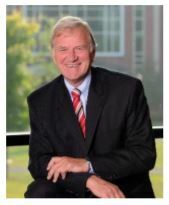 In service to the higher education sector, President Collins is the past chair of the National Association of Independent Technological Universities and a chair emeritus of New York’s Commission of Independent Colleges and Universities. In addition, he serves on the boards of the CenterState Corporation for Economic Opportunity and the NYS Business Council. 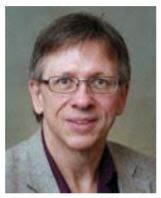 Robert Rogers is a SUNY Distinguished Teaching Professor of Mathematics in the Department of Mathematical Sciences at SUNY Fredonia. His original area of research is Operator Theory, but he has since focused more on applying the history of mathematics to the teaching of mathematics. He is also interested in bringing more STEM applications into mathematics courses. He is coauthor (with Dr. Eugene Boman, Penn State – Harrisburg) of the open source real analysis textbook “How We Got from There to Here: A Story of Real Analysis” available through the SUNY Open Textbook Program. 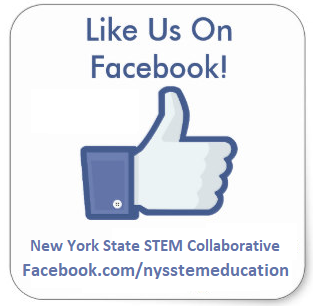 He is a past chair and governor of the MAA – Seaway Section, a past president of the Association of Mathematics Teachers of NYS, and a member of the governing board the NYS STEM Education Collaborative. He is former editor of the NYS Mathematics Teachers’ Journal. He is a recipient of the SUNY Fredonia President’s Award for Excellence in Teaching, the MAA – Seaway Section Clarence F Stevens Distinguished Teaching Award, and the MAA Distinguished Service Award – Seaway Section. He is a member of the NYS Mathematics Educators’ Hall of Fame. Dr. Kristina M. Johnson joined The State University of New York as its 13th chancellor in September 2017. Immediately prior to joining SUNY, Dr. Johnson was co-founder and CEO of Cube Hydro Partners, LLC, a clean-energy infrastructure company focused on building and operating hydropower plants in North America. She also previously served as Under Secretary of Energy at the U.S. Department of Energy. 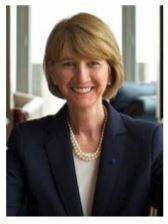 Dr. Johnson served as provost and senior vice president for Academic Affairs at Johns Hopkins University from 2007 to 2009, and as dean of the Pratt School of Engineering at Duke University from 1999 to 2007. Dr. Johnson received her BS, MS, and PhD in electrical engineering from Stanford University. After a NATO post-doctoral fellowship at Trinity College in Dublin, Ireland, she joined the University of Colorado-Boulder’s faculty in 1985 as an assistant professor and, later, full professor. Among her many awards and distinctions, Dr. Johnson received the Dennis Gabor Prize for creativity and innovation in modern optics (1993) and the John Fritz Medal (2008), widely considered the highest award in engineering. Dr. Johnson is a member of the National Academy of Engineering, the National Academy of Inventors, and the National Inventors Hall of Fame. She holds 118 U.S. and international patents and has five honorary degrees.